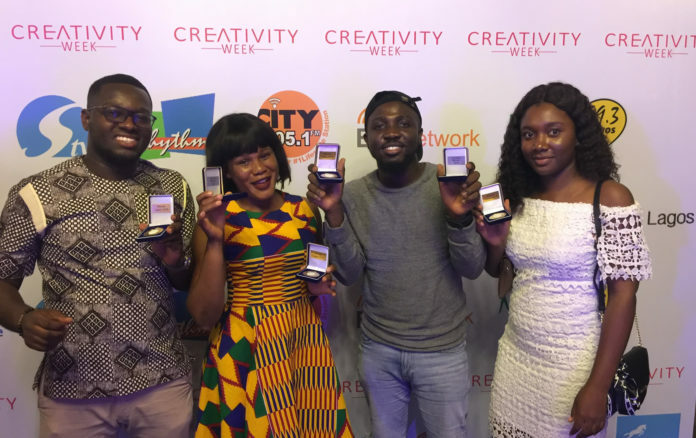 Ebenezer Arthur and Magdaline Afutu won Gold in the Young Lions Media WECA competition at the Creativity Week and Awards event held recently in Lagos, Nigeria and will go on to compete with other young brilliant minds from other media and communications agencies from all over the globe during the 2019 Cannes Lions. Commenting on this accomplishment after the team arrived back in Accra, Bright Ladzekpo, CEO of PHD Ghana, said “the output by our team is a testament to our focus on professional skill development with continuous investment in training programmes that prepare our young local staff to ensure they are able to compete favourably with their peers globally”. “As a global communications planning and media buying network, built on a culture of smart strategic thinking and creative innovation, our young people are well exposed to the fundamental marketing principles and proprietary tools for delivering world class work”, he affirmed.